Blair resident Ted Maine, manager of radiation protection at Omaha Public Power District's Fort Calhoun Nuclear Station, is a lead for the decommissioning of the nuclear plant. A Fort Calhoun High School graduate, Ted spent 15 years on the road at 20 nuclear plants, he said. 1. Decon — After a facility closes, most of the plant's structure and equipment is dismantled and removed to a level of radioactivity that allows release of the property and termination of its Nuclear Regulatory Commission license. 2. Safstor — The facility is maintained and monitored in a condition to allow the radioactivity to decay. Afterward, it is dismantled and the property is decontaminated. 3. Entomb — Radioactive contaminants are encased in a structure and radioactivity decays to a level that permits release of the property. The OPPD Board of Directors has chosen the Safstor method because it offers "financial flexibility," Ted said. OPPD will first move the reactor fuel into spent storage for 1-4 years. He said that OPPD doesn't know for sure "what Safstor looks like" yet. 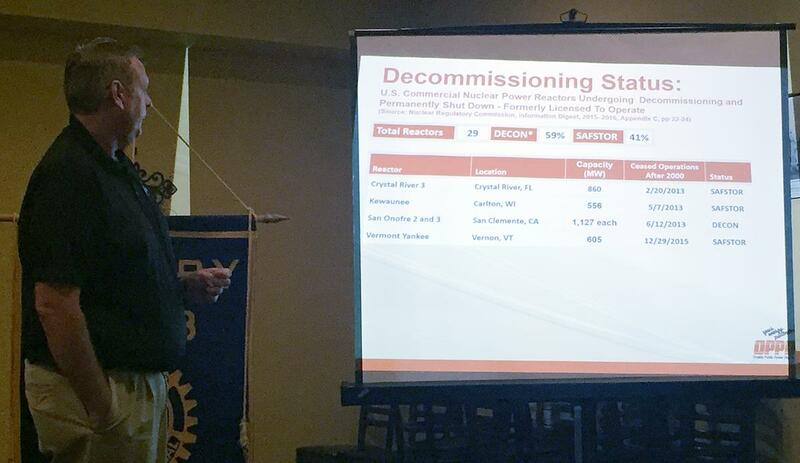 There are 29 nuclear reactors in the decommissioning process in the U.S. Of those, 59 percent are in Decon and 41 percent are in Safstor. Exelon, which manages the Fort Calhoun Nuclear Station, recently announced that its dual nuclear reactors in the Quad Cities, Iowa will be decommissioned. Nuclear power regulations have changed since the 9-11 attacks and the Fukushima nuclear disaster in 2011 in Japan, Ted said. "The time has come and gone for nuclear power," not just in the U.S., but globally, he said. About 640 to 650 people are employed at the Fort Calhoun Nuclear Station. It is scheduled to close by the end of 2016. • Welcome to our newest member, Dr. Jill Reel of Arlington! 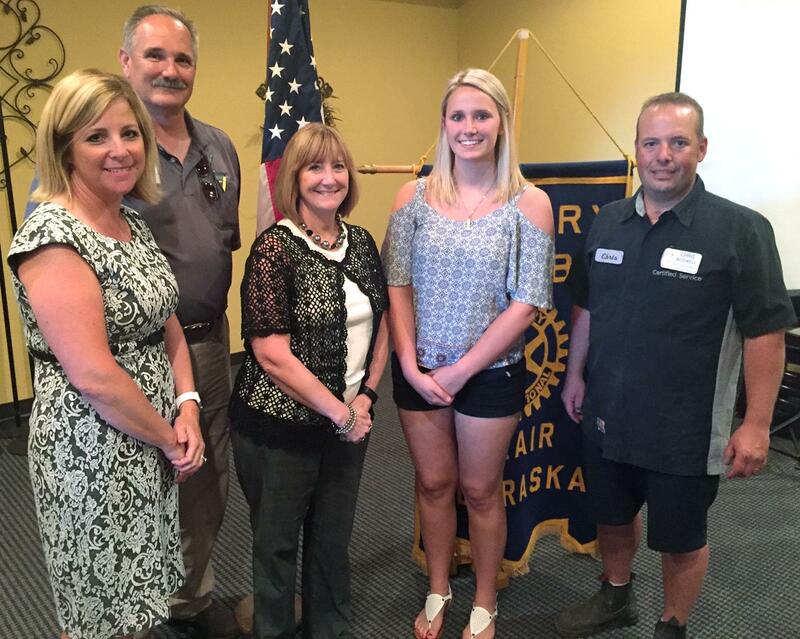 • Our July 12 meeting is a club assembly. We'll discuss club projects and install next year's officers. • Volunteers needed — Aug. 20 is our instrument drive for Blair Community Schools! • Mark your calendar — Our fundraiser for Blair Community Schools' band program is Oct. 8 at South Creek Conference Center. Music by the Superband, food and a silent auction!